Takashiba Deko Festival was held today at Takashiba Dekoyashiki, Koriyama. 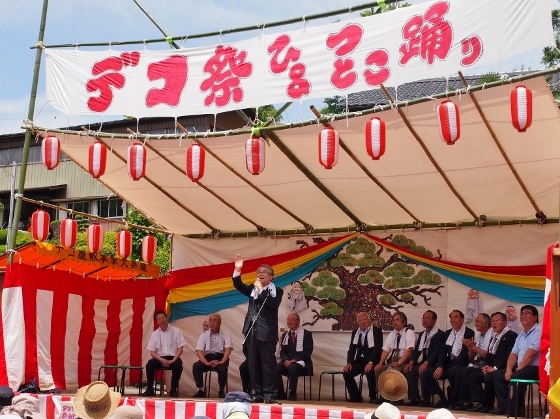 A traditional Shichifukujin dance or dance of the Seven Gods of Good Fortune was performed in the event. Photo above shows a scene from the dance. 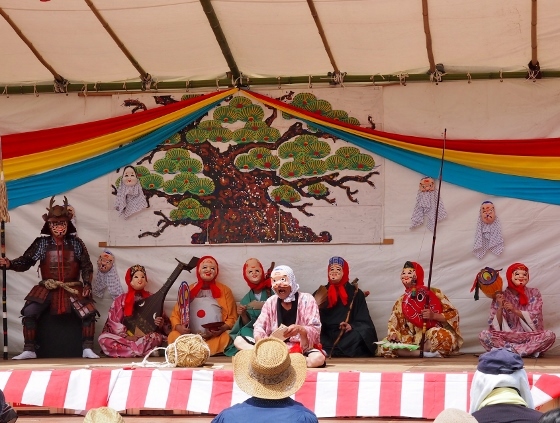 Takashiba Shichifukujin dance was designated as important intangible cultural assent of Koriyama City. 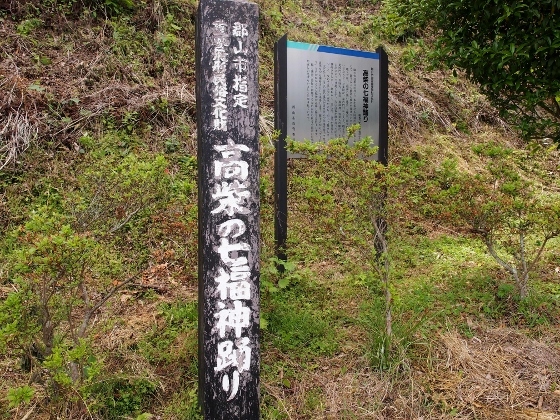 The column and the board shown in the photos above explain the tradition. One of the Seven Gods called Ebisu-sama dances in a short footage above. Another one of the Seven Gods called Daikoku-sama dances above. All the Seven Gods lined up in the back at the scene above. They are called from the left, Bishamonten, Benzaiten, Hotei, Fukurokujin, Juroujin. 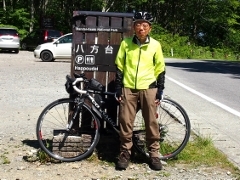 Ebisu, and Daikoku. 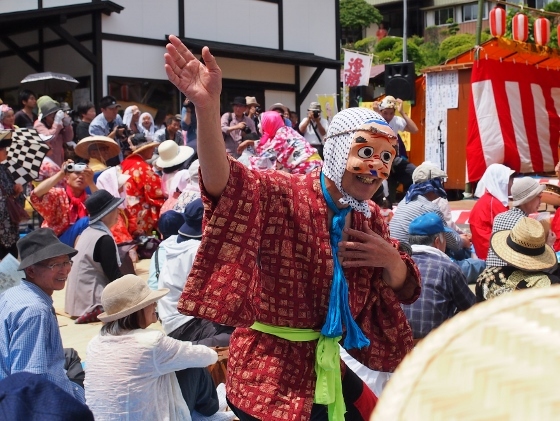 At the same time, Hyottoko or a man with a funny Japanese style clown mask appeared on the stage or in the people as shown above. Footage above is a part of an excellent performance of Okame dance by a master of Hyottoko and Okame dance, Hiroji Hashimoto. Okame is a funny smiling woman mask worn either by a man or a woman. 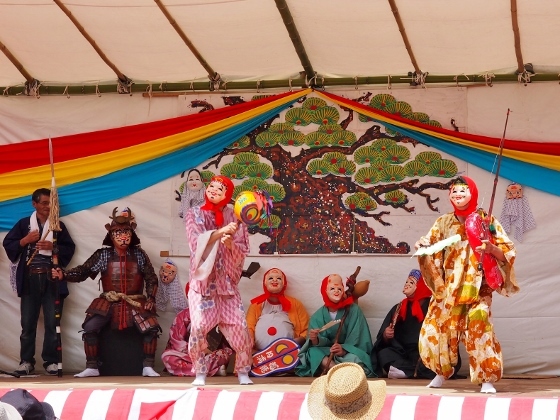 Takashiba Deko Festival is held on last Sunday of May, every year. 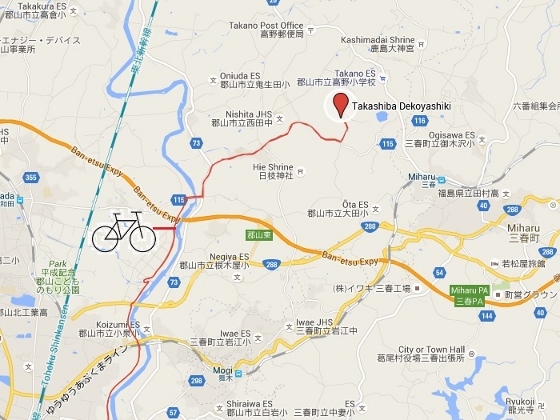 The festival is supported by Koriyama City. 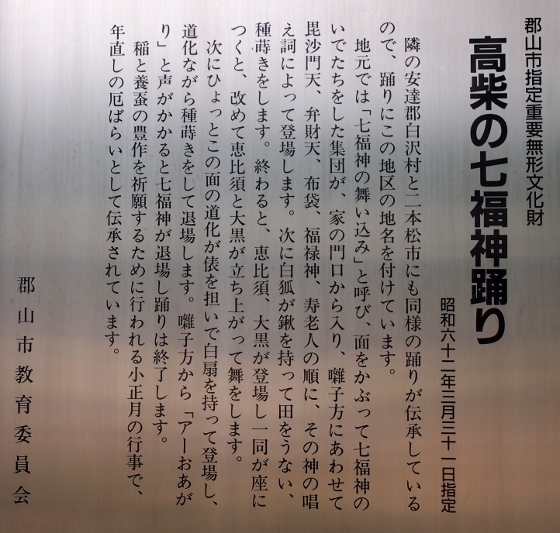 Today, Koriyama City Mayor Shinagawa appeared and made a short opening speech as shown above.